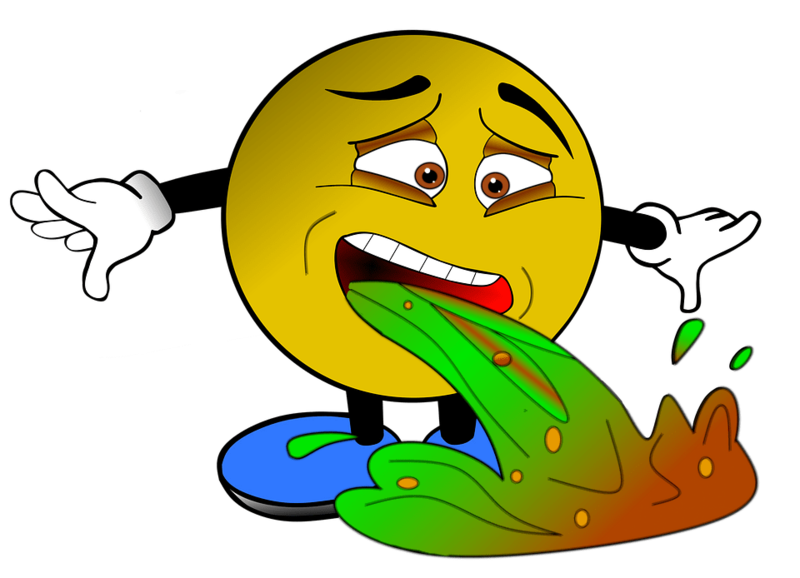 Home remedies for vomiting: Vomiting, very simply put, is your body’s way of purging contaminated substances that may have been ingested. Although throwing the contents of your stomach out is one nasty feeling, the aftermath always leaves you feeling better. Sometimes, if not often, we tend to feel nauseous- this may or may not result in us throwing up. At times that it does, you’re left feeling a whole lot better, and at times that it doesn’t you’re left with a rather uncomfortable feeling. These home remedies for vomiting might come in handy the next time a bout of vomiting gets the better of you. Vomiting that is associated with digestive problems, especially the flu, can be treated with cinnamon. It helps to calm your stomach, treating nauseousness in the process. To a cup of boiling water, add half a teaspoon of cinnamon powder. You could also use a stick of cinnamon if the powder is not easily available. Allow this to steep for a few minutes before straining. To sweeten the solution a bit, add a tablespoon of honey. Sip on this for relief. Caution: Keep in mind that this remedy is not suited to pregnant women. Also check: How to get rid of a hangover? No list of home remedies is complete without ‘ol reliable- apple cider vinegar. On days when you’ve stuffed yourself more than you should have, or partied way more than you intended, a friend in Apple Cider Vinegar you will find! It works particularly because of its ability to calm your stomach, aiding in the process of detoxification. If food poisoning has gotten the better of you, rely on the antimicrobial properties of ACV to put you out of your misery. Mix a tablespoon of apple cider vinegar alongside one tablespoon of honey. Add this to a glass of water. Drink this solution whenever necessary. Have you ever thrown up because you just threw up? When the smell or aftertaste of vomit leaves you absolutely disgusted, so much so, that it makes you vomit again? Here’s a home remedy for just that! To half a cup of water add a teaspoon of vinegar. Rinse your mouth with this solution to freshen up your breath. Another member of the spice family makes its way to our list of home remedies for vomiting. Cloves can be helpful at times when vomiting is caused by a gastric irritability. This is attributed mainly to its soothing properties that aid in digestion, thereby curing vomiting. Chew on some cloves if you have no other option. Make a cup of clove tea by adding cloves to a cup of boiling hot water. Fry some cloves and coat them with honey before swallowing them whole. Peppermint Oil, as well as lemon oil, host an antiemetic effect, which in layman terms translates to the alleviation of nauseousness via aroma. The smell of these essential oils can stop vomiting as they have a hint of freshness associated with them. Repeat this process whenever you feel like throwing up for a few minutes. Must read: How to get rid of a fever? For those of you who suffer from motion sickness, lemon is no stranger to you. Lemon juice is packed with antioxidants which tend to cleanse the stomach. The Vitamin C present in it boosts the immune system, eliminating any bug that might be causing you to throw up. To a glass of lemon juice, add some honey. Ingest this mixture to get relief. Also check: How to stop drinking alcohol? Cumin happens to be one the easiest and also one of the best home remedies for vomiting. The reason it works is because it stimulates the secretion of pancreatic enzymes. Why should this be of concern to you, you ask? The queasy feeling that associates itself with a bout of digestive problems of any kind is caused by the reduction of pancreatic enzymes. Mix half a teaspoon of ground cumin seeds in warm water before drinking it. You could also proceed to add a teaspoon of cumin seeds in a cup of boiling water with a pinch of nutmeg added in. Allow this to steep for a few minutes before straining and drinking it. A third option would be to add cumin powder with cardamom powder to a teaspoon of honey before ingesting it. Onion juice is a natural antibiotic which comes in handy at times when you are trying to combat vomiting and nauseousness. Onion juice might not exactly be one of the nicer tasting juices out there, but it definitely has benefits which you can make the most of. Mix one teaspoon each of onion juice and grated ginger. Consume this mixture at regular intervals for best results. To a cup of onion juice, mix in two teaspoons of honey. Consume one tablespoon of this mixture as required. Vomiting drains you of all your energy leaving you drained and weak. Despite the fact that you’re throwing up a lot, keep in mind that hydration is of the essence. Keep sipping on water at times that you do not want to as well. Give these home remedies for vomiting a try when vomiting or nauseousness gets the better of you. Please do let us know which ones managed to do the trick for you.